Good-looking and comfortable. Folds up in one motion. All pieces are traceable. 37" tall by 24" wide by 39" long.Note: Due to their nature, plans are non-returnable. Defective plans will be replaced. 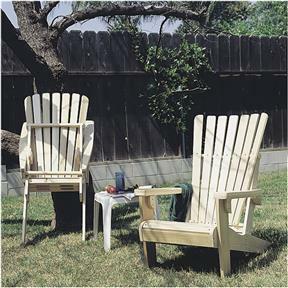 Good-looking and comfortable. Folds up in one motion. All pieces are traceable. 37" tall by 24" wide by 39" long. 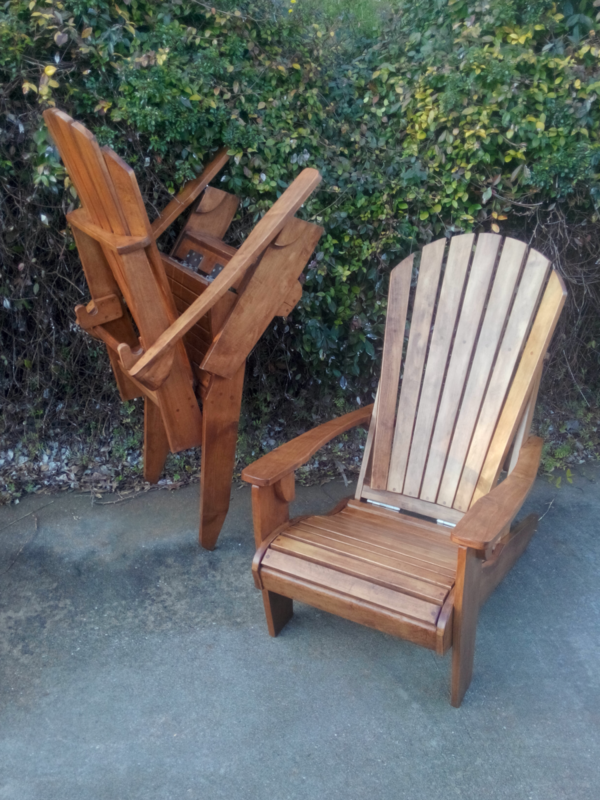 My son really liked the Adirondack chairs that I built using other plans from this supplier, but he lives in a third floor apartment (with a great balcony!) so moving them upstairs would have been a real bear. The folding chairs almost exactly match the fixed chairs and, while not exactly light (I made them out of solid maple) the folding capability made them much easier to transport across three states and up three flights of stairs. All in all great plans!